What strives through the ice? Catch the tailed symbols to fulfill your fish bucket with prizes. Stop, but you have no permission to go fishing on Playtech territory. Are we wrong and you have placed a bet? Then it would be easy for you to answer whether the coin values range from $0.01 up to $50.00. Hah? Yep, the top win of $100,000 is a high-maintenance item as you don’t know with what amount of the highest stakes of $1,250 you would have to part before you grab 5 Eskimo Women and get 4,000 coins for your draught. When you come to a new place, what do you do at first? Yippee! You are right about the guide. There is no better sightsman than Eskimo Man. The wild symbol know the reels inside and out. If in the first case, you were trying to break the icy rock, now you are about to build up the heap of golden coins. 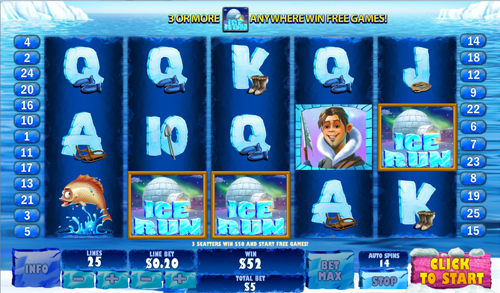 You will make a massive win if you sculp it with Ice Run Logos. It is the scatter symbol which multiplies catch by 100 times, just collect 5 scatter icons. Make Walruses smile! 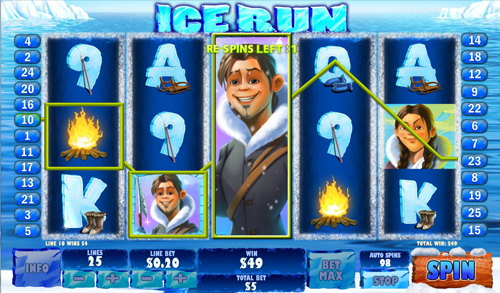 Trigger 3 scatters per spin to activate 10 cooling Free Games. Have you done it? Now gather your cash trophies to a cheerful tune of Walruses, clasping fins. Excellent show! 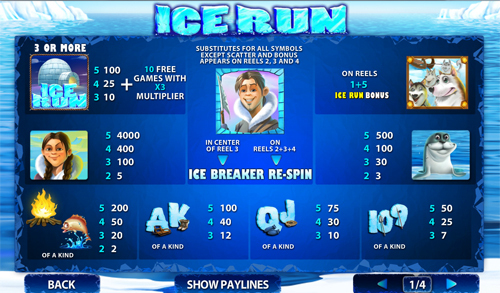 Play solo to have all tripled wins during the feature to yourself 😉 Appearing on the 3rd reel in the center, Eskimo Man expands. There you are! You are presented with 2 Re-Spins. You are cold and gloomy? Hold on to your hat and prepare for melting. If the wild shows up on the reels 2, 3 and 4, Eskimo Men will expand. Take the occasion to grab more coin scoops during 1 Re-Spin awarded. Let it drop! Ice Run Bonus is a time when you can groove on to the fullest. Do you want to blow off some steam? Let’s hit 3 out of 7 snowmen FOR CASH. 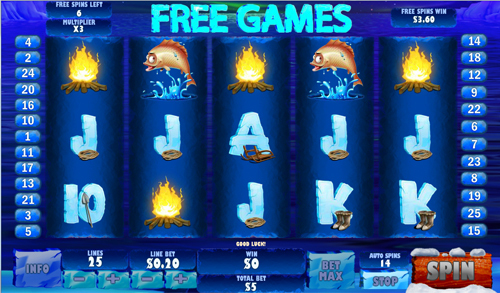 If you are eager to start the feature, you should collect bonus icon on the reels 1 and 5. Deal or No Deal? Come over to the money matter now. Throwing balls is not the only fun you will experience. You can enter 3 out of 7 igloos FOR Multiplier. You muff a shot! But wait, you have activated a snowball feature by accident. All subsequent prizes are won! 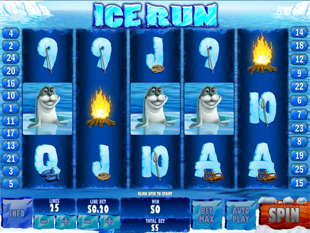 Do you have enough money to melt Ice Run Slot Machine? 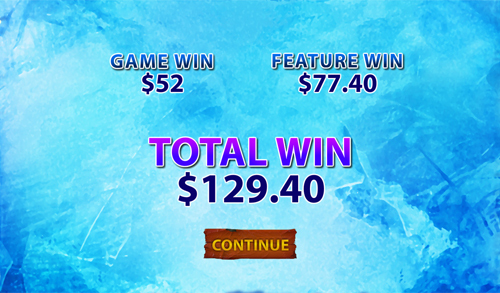 The max stake is annoying, but the highest cash rock of $100,000 is too attractive to leave it out 😉 Mount the video slot today and you will wake up rich tomorrow.